Like you, Permobil works to continually improve the independence and quality of life for people with mobility challenges. As you work with clients who have complex seating and positioning needs, we know there are several keys to success. At Permobil, our approach to custom seating is unique. We think that custom seating is more than just the transaction of purchasing a cushion. 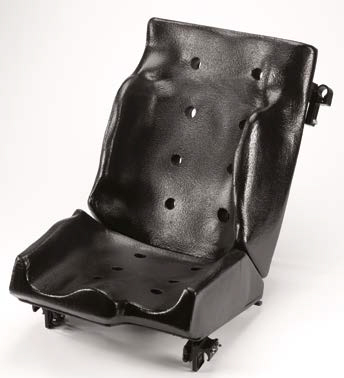 Our belief is that there are 3 major components to long-term success for custom seating. We use best in class 3D image capturing technology. The Sense 3D scanner is light, highly portable and small enough to fit in your laptop bag so you can scan data wherever you are and bring it back to the office to complete and enhance your designs. 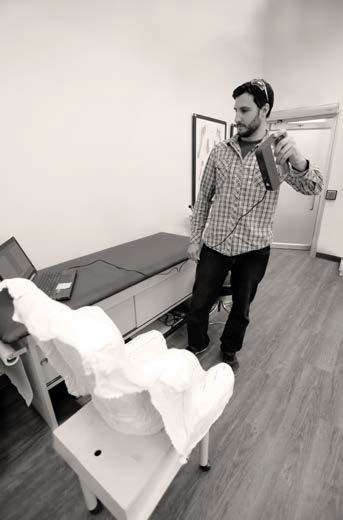 This means you can quickly and accurately capture client shapes that reflect the ideal postures created during the molding process with the clinician. Those files can be easily emailed to our fabrication team, along with the appropriate order form, to get a quote or begin fabrication of your custom contoured seating system. Our lightweight and easily adjustable OBSS simulator, combined with our extremely pliable vacuum bags, are ideal for achieving optimal posture of the client you’re molding to ensure best outcomes. 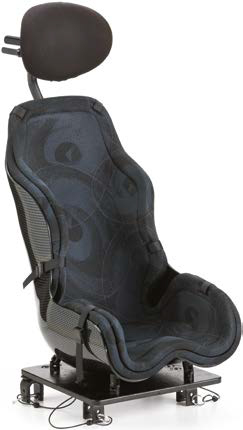 We offer several different types of custom seating to meet the needs of even the most complex client shape. 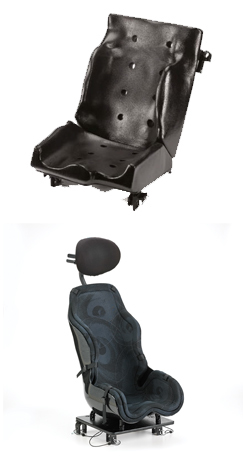 Whether its custom configured like our NUTEC seating, or custom contoured like our OBSS seating, you can rest assured that the finished product will match the exact client measurements you provided. Our experienced technicians and state-of-the-art fabrication facilities deliver the highest quality product to meet your clients personal, functional and clinical needs. And Permobil works hard to improve ease of business for you by having accessible customer service no matter what time zone you’re in, quick fabrication turnaround times to reduce evaluation to delivery times, generous warranty and remake policy, 24-hour turnaround on quotes, and easy emailing of order forms and scanning images. Permobil believes very strongly that education is a key to successful outcomes, and clients that need custom seating very often have complex clinical needs. That’s why we have a team of 15 dedicated professionals with extensive practical experience, committed to partnering with you in achieving successful outcomes. We also know that technology is changing rapidly and it’s important to stay up to date with current technology to achieve better outcomes for the client and improve productivity. 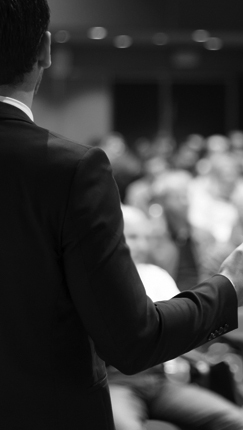 Therefore, we offer 3 different education courses related to custom seating.